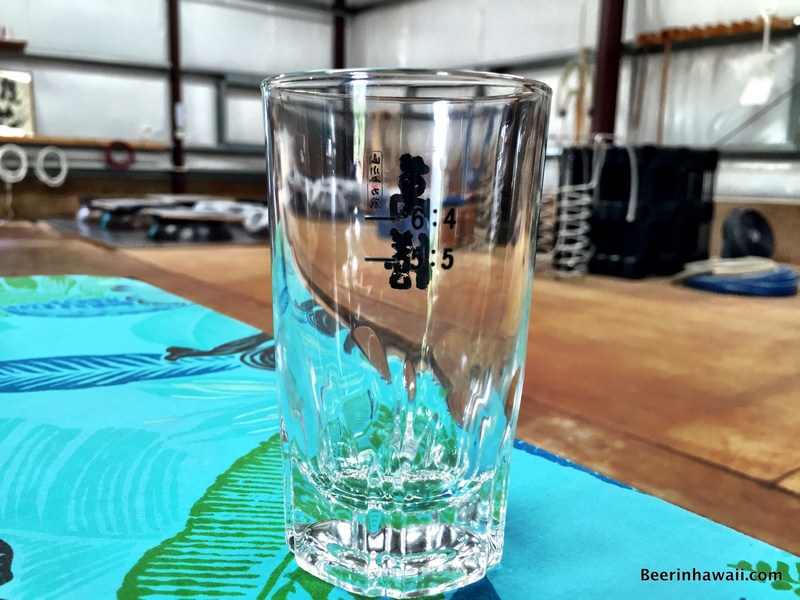 The proper Shochu glass. Notice the markings on it. They are guides to how much water to add.